Robert Allan Ltd. announced on Tuesday (Dec 11) that it has signed a contract with Turkey-based TOR Group of Companies (TOR), for the design of a series of new RAstar 3300 tugs. 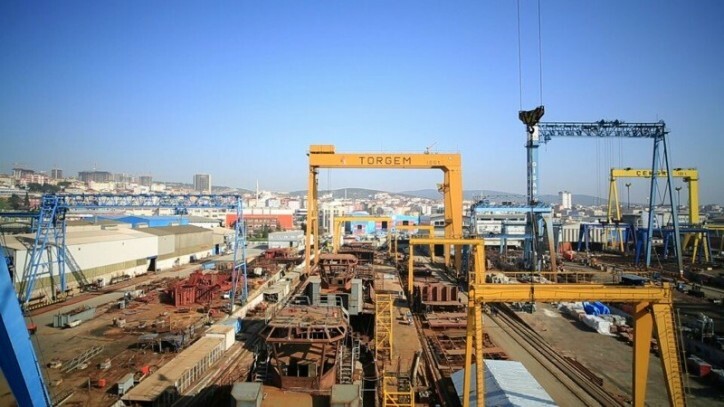 These three tugs will be the first designed by Robert Allan Ltd. for TOR, which has a proud history of shipbuilding since 1880, and currently operates a modern shipyard near Istanbul. Once built, the three custom-designed tugs will enter service with the Ghana Ports & Harbours Authority (GPHA) on the west coast of Africa where shipping volumes are increasing, creating a requirement for powerful modern tugboats. They will be equipped to fulfill a multitude of missions for the GPHA, including but not limited to ship-assist, fire-fighting, and pollution response. Driven by high-speed engines and Z-drive propellers, the tugs will each be able to generate in excess of 80 tonnes of bollard pull. A dedicated fire pump engine will provide the required power to meet Fi-Fi 1 standards, while also providing a protective waterspray. The principal deck machinery will comprise of a hawser winch forward and a towing hook aft. Spacious and climate controlled MLC 2006 compliant accommodations will provide comfort for a crew of up to 8 persons, even on days where exterior temperatures may rise as high as 50o C. Sensitive electrical equipment will also be protected from the heat in an air-conditioned switchboard room.